If you are a professional photographer who learned his trade before digital cameras became as widespread as they are today, you probably remember that you had to have your own technique for keeping track of how you took each photo. Most photographers from the non-digital era had to carry around a notebook whenever they planned a photo shoot, and wrote down details such as exposure, shutter speed, aperture, if they used a flash or not, etc. This way, when handling their images in the photo lab, they could tell what they did wrong or what they did right depending on how the photo turned out. Luckily, nowadays professional photographers no longer have to undertake the painstaking task of writing down a long series of details about the photos they take, since most digital cameras (including the one on your smartphone) can automatically store all the info they might need, as EXIF data. EXIF (Exchangeable Image File Format) data can be stored for several types of image formats, including JPEG, TIFF and RAW, and it contains a lot of relevant details about when and where the photo was taken (date, time, GPS coordinates), with what camera (brand name, lens type), and how (shutter speed, ISO speed, aperture, white balance, focal length etc.). 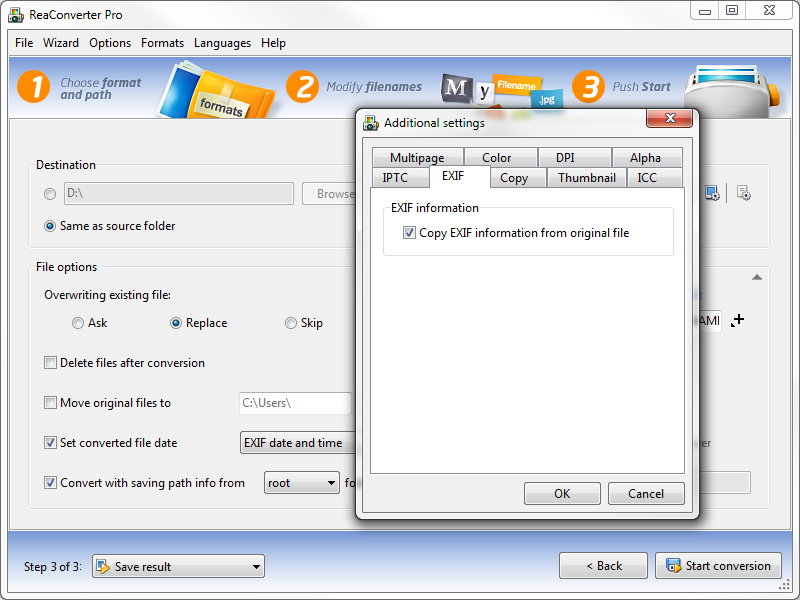 All this useful information is embedded in the image file and can be accessed using, for example, Windows Explorer (right click on the image and then check the Properties section) or an image editor. Load all the images you need to convert. 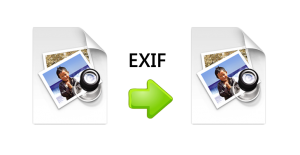 reaConverter supports batch conversion for over 400 image formats, including archaic and rare. Browse through the image editing options and choose the ones that best fit your needs. Here you can decide to resize or rotate the image, add borders or shadows, adjust colors, add effects or watermarking. And then tune up your options using a comprehensive set of alternatives. After picking the location and format for your output file, tick this box: Set converted file date (see below). Then choose EXIF date and time from the dropdown menu, and start the conversion process. You will quickly be able to enjoy your new images, including their input EXIF date and time. This entry was posted in Image conversion and tagged conversion, date, EXIF, iso, photo, time on June 10, 2013 by reaconverter.